You Could Win 1 of 5 Michelin Suitcases! Buy any two Michelin tyres and you could be the lucky winner of 1 of 5 Michelin trolley suitcases! Buy 2 or more Michelin car, van or 4x4 tyres and you could be in with a chance of winning 1 of 5 Michelin Trolley Suitcases. 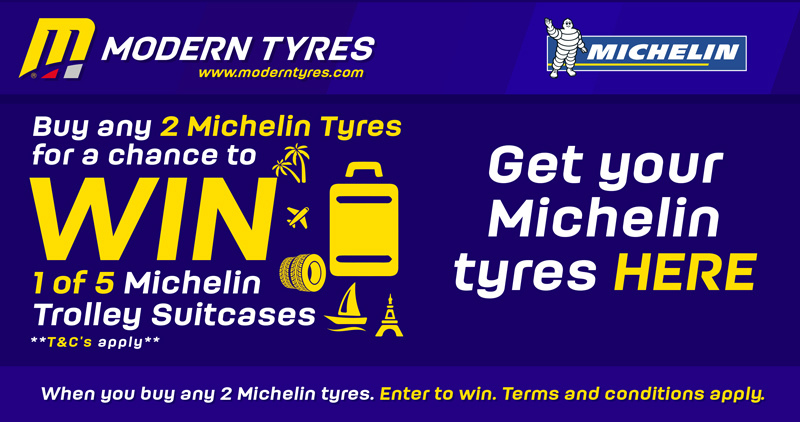 Don’t miss out and you could be a winner with Modern Tyres and Michelin. The prize in non-transferable and no cash alternative is offered.